We offer a full range of property management services tailored to you as an investor, homeowner, or landlord. 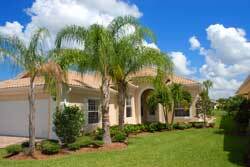 We have an extensive portfolio of single family homes, townhouses and condos in the Winter Park area. The first president to visit was Chester A. Arthur, who reported that Winter Park was "the prettiest place I have seen in Florida." President Grover Cleveland visited the area and was given a huge reception at the Seminole Hotel on February 23, 1888. He enjoyed the Bounding Horse Cart ride and stated that it was the most pleasant diversion of his Florida trip. The New York Times reported on his visit that "The Philadelphian and Bostonian founders had done a good job with the town."